This Machine will be fully inspected prior to collection to Stihls exact Pre Delivery Inspection checklist, ensuring you receive a working machine. 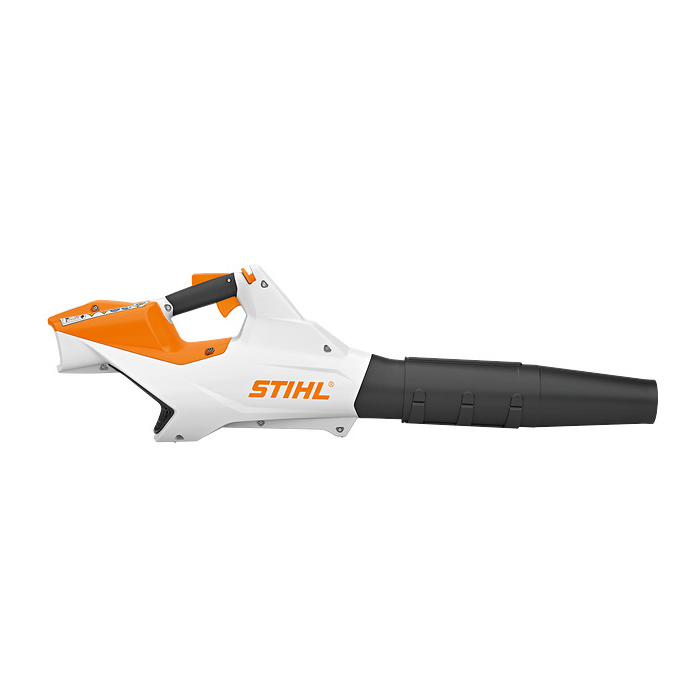 Stihl BGA85 is a powerful, portable cordless blower. Very easy to operate: simply switch on the axial blower to instantly benefit from outstanding cordless blowing power. Air stream and blowing intensity can be adjusted infinitely using the convenient switch lever. Leaves, cuttings and waste are cleaned silently and powerfully from all surfaces in an instant. STIHL Electric Motor (EC) - The STIHL electric motor (EC) is extremely energy efficient, lightweight and compact. It runs quietly, generates very low vibrations and does not require servicing. Two-stage axial blower - The two-stage axial blower operates like a fan to eject the maximum volume of high-speed air and produce unparalleled blowing results. Safety locking button - All STIHL battery products have a locking button with which you can lock the device. This prevents the blower starting unintentionally when a live battery is inserted. Multi-function handle - Thanks to the multi-function handle, all the controls can be activated with one hand. The control level allows the user to continuously adjust the engine speed. Simple and reliable operation, no matter whether you are right or left-handed. Hanging loop - Hang your cordless blower securely on a wall to save space using the loop in the handle housing. 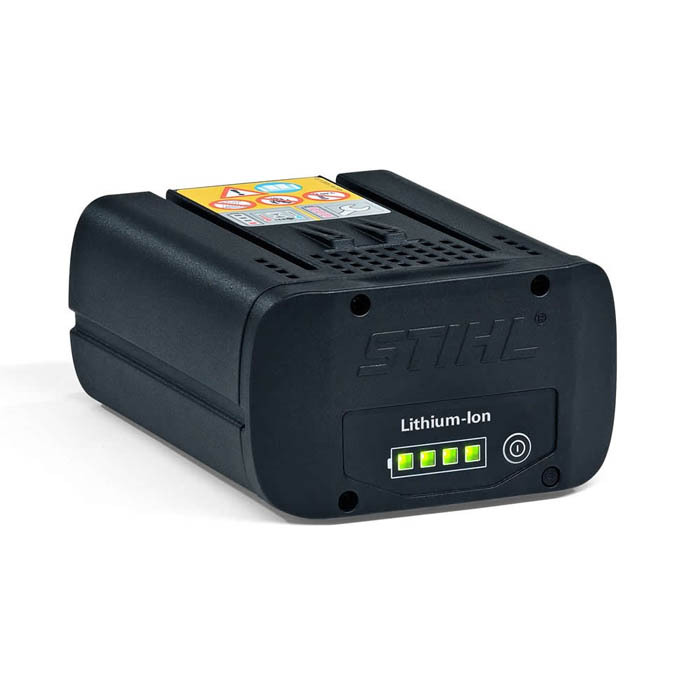 Stihl offer a range of batteries that can fit this machine offering different power and charge times. For full specs and info please feel free to call us. 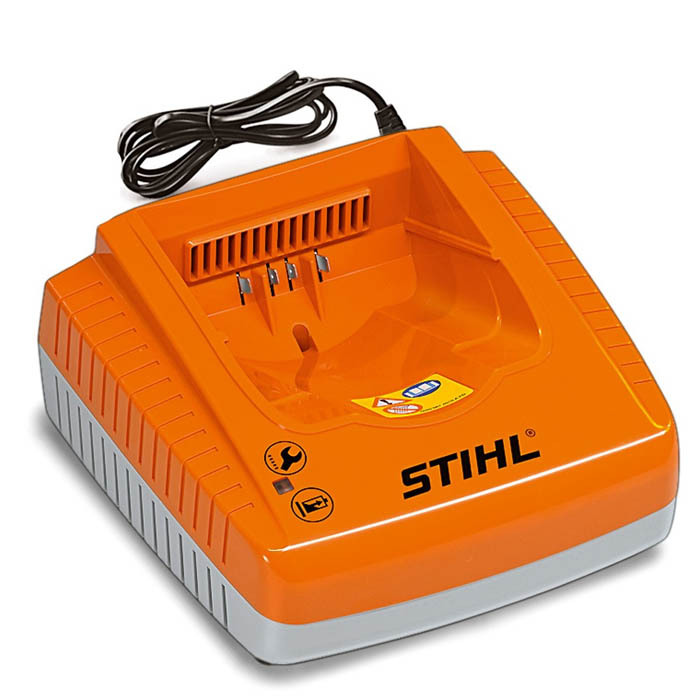 Chargers - All 3 Stihl chargers can be used with all the normal batteries, while the AP300 and AP500 will charge the backpack batteries too. Charging times vary depending on battery capacity and charger. E.G. AP200 battery in AL200 charger will charge to 80% capacity in 30mins, and 100% in 55mins.